I arrived in Placerville, California several hours ago. 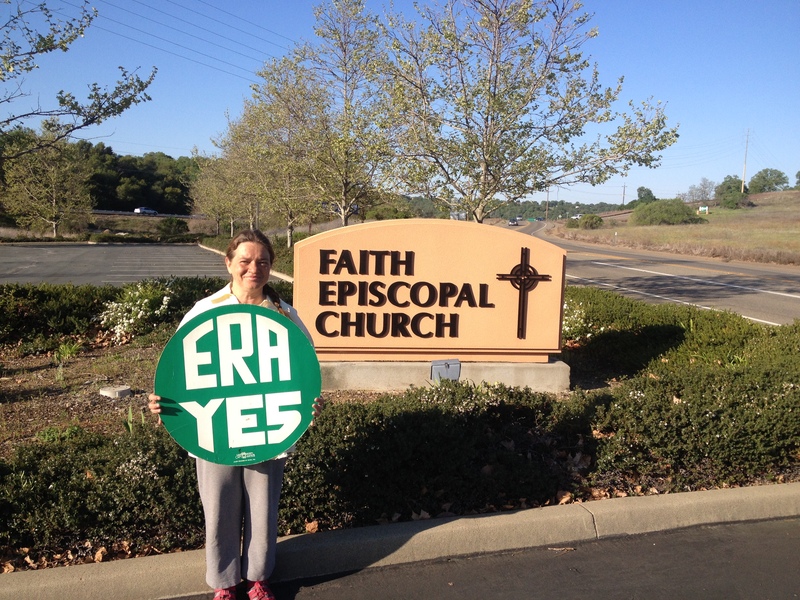 I am a mere 85 miles to Carson City, the state capitol of Nevada, the first of 15 states that are on my pilgrimage that have not ratified the ERA. My tummy is beginning to knaw at me. I’m a bit hungry. It is time to get a bite to eat but with a storm front coming in from the northwest I hasten to make arrangements for a place to stay warm and dry for the next few nights. The walking is turning out to be everything I dreamed it would be spiritual, uplifting, challenging and rewarding in every since of the word. Heading into Sacramento last week my thoughts were on my oldest son. I have not had a lot of time with him since my husband William died. He accompanied William back east to weeks prior to his untimely departure to celebrate Godfather Bob’s 80th birthday in Vermont with the Coolidge clan and to Harvard University in Boston to prepare for the Bishop Pradip L. Kamble’s (Church of North India) visit to the USA to promote our mutual ministries. It is still so hard to believe that William passed on five short days before out tabled tour and visit at the White House. Those last few days were moments of great joy for William. He and Bobby bonded in the way fathers and sons do when they carry on family tradition. William loved our children. He was a great dad and an awesome role model. But I have to work on not getting tangential when I think of him. The time I have spend with my children has not what I wished it could have be in the months following William departure for Paradise. We were all hard hit especially financially and without the flow of incoming monies all of our plans fell apart. William’s death hit Bobby and Harry our sons the hardest. They were truly dependant on his support. Our boat maintenance business was personality driven. I was simply the marketing and administrative end. William was ‘meet and greet’ as well as ‘worker bee’. So when he passed the decision to keep the business alive or fulfill my word to my mother-in-law Katrina was put to the test. Being that William wanted it as much as his mom… well… he as he stated the night before his mom’s ordination, “we must all pick up our cross”. He set the example as did our brother Jesus and I do not despair instead I rejoice for I have been blessed with loving children and a good husband. Although things did not work out as we thought – the trials we went through have brought us all closer together. It is one where we have grown closer regarding our personal life philosophy and overall theology and as St. Augustine stated our purpose is to build a “City of God”. 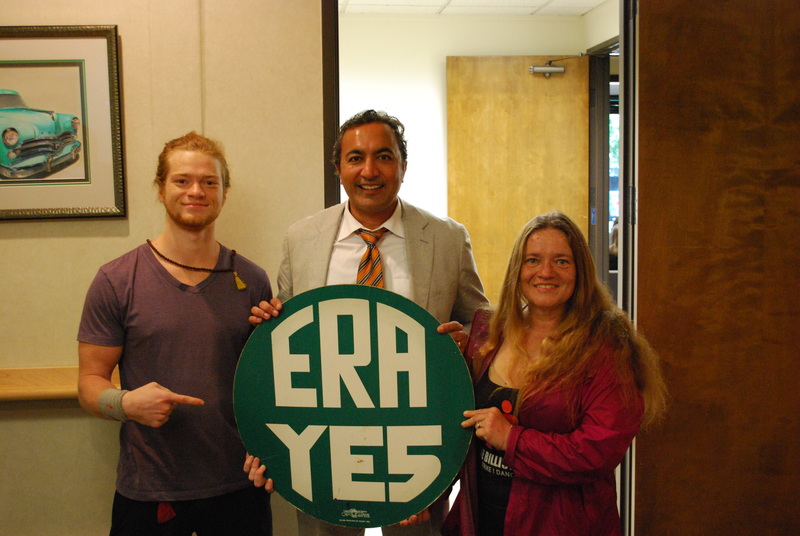 So as I was saying, I had arrived in Sacramento spent my first night with family friends, the Plesser’s, and then headed to towards Congressman Ami Bera’s office to request that he co-sponsor the “three state strategy” and the “start over strategy” resolutions, which call for the passage of the Equal Rights Amendment. I had been calling lots of folks, but I am learning as I am going so I didn’t really get this meeting as well organized as I had hoped, I called my son Bobby in desperation. And as a dutiful son he dropped everything he was doing to accommodate me. Agreeing to meet me at the congressman’s district office. During this time I got a bit lost and wound up having to back track and was rather concerned that my mobile phone would run out of juice. I wound up turning it on and off to conserve power. Finally I turned on to White Rock road I was about ½ mile away. I called Bobby to see how far away he was. He said he had another 20 minutes to go. Despite the short notice we were both relatively on schedule. We arrived within minutes of each other at Congressman Bera’s Rancho Cordova district office. Bobby offered to host me for the next couple of days. I was walking on air for the next few hours. And it was the first day of spring. I spent the night at Trinity Episcopal Church in Folsom where I stayed in the parish hall. An AA group was throwing ‘Monica’ a 30 year sober and clean birthday party keeping me up all night. I had a fun time rocking with them all night long. Who knew that could party so hard? Then it was on to Faith Episcopal Church in Cameron Park where Father Sean Cox showed extraordinary concern for my well-being. I was deeply touched by his compassion for this lone pilgrim. Immediately offering the slice of bread in his hand and a cup of coffee. In parting he gave me a yellow cotton shirt to keep me cool and protected from the blazing son. Being formally military he expressed his worry for my safe passage across the Nevada desert and wonder how I was going to get water. I brushed off the concerns having putting my faith in God. He truly exemplifies the Christian spirit of love and concern for your fellow being. 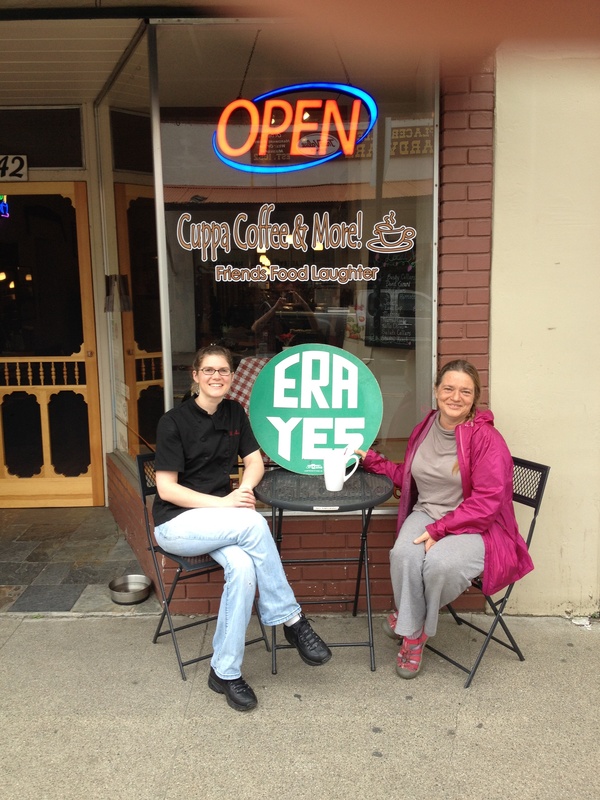 Well it time to get back to couchsurfing.com and looking for a hook-up for a place to stay the night and enjoying my ‘cup of joe’ at a delightful little place called Cuppa Coffee & More with Melissa here in the Sierra Nevada foothills.